Bryan, Texas is located in the heart of Brazos Valley with a vibrant culture and friendly people. The city offers quant historic bungalows to new homes in planned developments with all the amenities. Historic Downtown Bryan offers vibrant shopping and arts. Each street offers a blend of locally owned shops & art galleries to acclaimed dining all with a unique character. The city offers a variety of festivals and events through out the year for people of all ages. Bordering just north of College Station the two cities together make up Bryan-College Station metropolitan area, which has a combined population of 250,000 plus and growing. 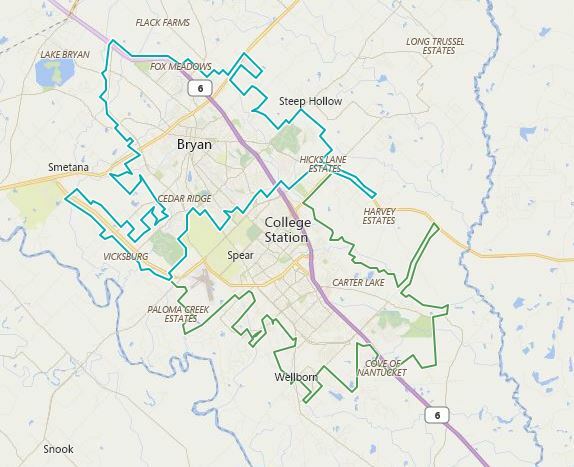 Situated between Austin and Houston a resident of Bryan can get to either location is just over one hour.